Zoos have undergone a remarkable transformation in the past century, and Sequoia Park Zoo’s history reflects this. Sequoia Park Zoo is actually the oldest zoo in California, founded in 1907 – nine years before the San Diego Zoo. Few accounts exist about its formation, but the zoo likely began with a few enclosures containing tame deer or elk, with a variety of animals added from there. At the turn of last century, zoos were considered a status symbol of a modern city and Eureka was eager to make its mark. The zoo was one of many recreational attractions at Sequoia Park, and its purpose was purely to display wild animals for amusement. 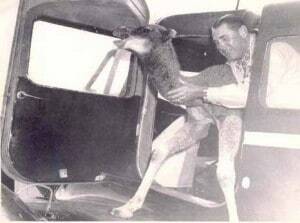 It housed a hodgepodge of exotic animals that came from circuses, shows, or even the docks of foreign lands. Animals such as African lions, polar bears, wallaroos, kinkajous, camels, baboons, plus dozens of bird species had a home at the zoo during this century. 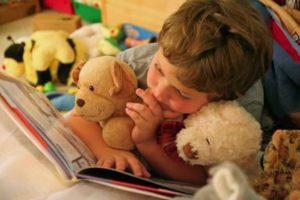 In those early decades, little thought was given toward education or appropriate animal care and well-being. By the 1970s, most zoos had made significant improvements. At Sequoia Park Zoo, a popular but dangerous tradition of public feeding of zoo animals was officially brought to an end with a municipal ordinance. A perimeter fence was built to protect and close the zoo at night. These changes allowed keepers to take better care of the animals and greatly helped clean up the grounds. Still, the zoo languished with too few resources to improve deteriorating old-style cages and some suggested its closing. 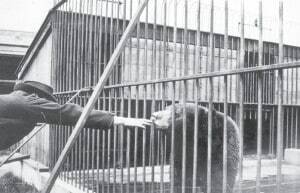 Community support rallied to revive and modernize the zoo in the late 1970s. A major renovation finally removed the small barred cages to make room for larger primate, chimpanzee, bear and prairie dog exhibits. An unfortunate decision by City officials to euthanize two bears during this renovation caused a national outcry and brought pressure to either close the zoo or change how it was operated. The community chose the latter and hired its first professional Zoo Superintendent – a pivotal point for the zoo. Responsible management practices began, a Zoo Society was formed and education became a major focus. The most famous and celebrated zoo residents were two male chimpanzees abandoned by the entertainment industry: Bill and Ziggy. 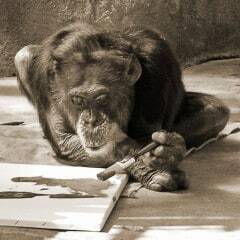 Bill, an extroverted and exceptionally engaging chimpanzee, became a true icon of the zoo and the community. He touched the lives of generations of Eurekans up to his death in 2007. Learn more about their history at Bill’s Memorial Garden. Sequoia Park Zoo is in the midst of another transformation, as we create a facility appropriate for the 21st century. Sequoia Park Zoo was awarded prestigious accreditation in 1995 by the Association of Zoos and Aquariums, which set the stage for the zoo to become the well-respected zoo it is today. Our professional animal care staff is passionate about animal welfare and it shows in the quality of care our animals receive 365 days a year. In 2006 a plan for the zoo’s future was created, which groups animal exhibits strategically to tell specific stories about wildlife, conservation and science. The animals at the zoo are very carefully selected for compatibility with our small size and resources, our climate, and the conservation stories they represent. Today, the Sequoia Park Zoo Foundation raises funding necessary to make this new zoo vision a reality, in partnership with the City of Eureka. Read more about The New Zoo –there are ways for you to get involved and help ensure ongoing progress toward our goals. The animals at home here are either zoo-born or can no longer survive in the wild. Every new program and exhibit is targeted to deliver a conservation message or make a positive impact on wildlife.